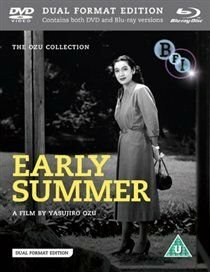 Yasujiro Ozu co-writes and directs this nuanced family drama, the second of three films to star Setsuko Hara as the headstrong and warm-hearted Noriko. Living in post-Second World War Tokyo with her extended family, Noriko contributes to the household income by working as a secretary, but her parents are concerned that she has reached the advanced age of 28 without thus far securing herself a husband. When she receives a proposal from a family friend 12 years her senior, her family sees this as a wonderful opportunity - but to everyone's surprise Noriko has plans of her own.